Criminal Asylum is a band formed in 1999 by members Mirosa (voice, programming), T (visual) and Max Bateman (programming, synth, samples). 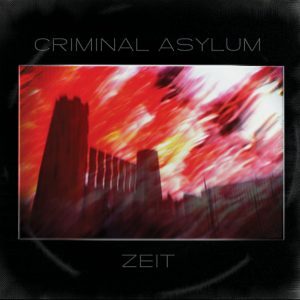 In June 2000 Criminal Asylum released its first album “Choice” (Radio Luxor/SPV) produced by Angelo Bergamini (Kirlian Camera, Uranium USSR 1972). In 2001 they released a remixed version of the Kirlian Camera track “The Desert Inside” on the album “Kalte Container”(Radio Luxor/SPV). In 2002 they released the track “Guilt” on the compilation “Sliding Horse One” with artists such as Kirlian Camera, T.A.C., Blutengel, Hocico, P.A.L., Kiew and :wumpscut:. In recent years Criminal Asylum have collaborated and workedon movie soundtracks (“La Gabbia” by Giovanni Polesello) and with the To Horror Film Fest. On October 31st they will release their new album “Zeit” on Rustblade. Max Bateman and T. also have a parallel audio/video project called Wuornos Aileen.